Leave it to the liberals to not only engage in mass hysteria over purported climate changes, but to also call for a host of ridiculous, overbearing government efforts to put a band-aid on the problem. Berkeley City Council members just put forth a motion, proclaiming that there is a global climate emergency — and they’re calling it the “the greatest crisis in history.” The drama doesn’t end there; according to the loony leftists, climate change is responsible for more devastation to humanity than World War II — which is considered the deadliest conflict in history. The Berkeley City Council claims that the U.S. has “disproportionately contributed to the climate and ecological crises and to preventing a transition away from fossil fuels, and Americans thus bear an extraordinary responsibility to solve the crises.” Among these “extraordinary responsibilities” is a call to thin the herd, at the behest of a city council from one of the most liberal cities in the country. Is there really a way to humanely stabilize the population? Further, isn’t it a bit of a stretch to say that the government needs to get involved with how many children people are having? In May of 2018, it was revealed that birth rates in the U.S. have already reached a 30-year low. Perhaps the Council didn’t know that when they made their over-zealous suggestion? But it’s not just the Council’s call to shrink the population that’s a problem: The entire document reeks of dramatization and hysteria. The Council proposes that climate change “has been linked to the Syrian War, the rise of Boko Haram in Nigeria, as well as the famines, water shortages, and resulting conflict in Yemen, Somalia, and South Sudan,” and essentially argues that global warming is responsible for virtually every problem and conflict that plagues the world today. Perhaps the opioid epidemic here in the U.S. was caused by climate change, too? And it’s not just the present the Council is worrying about; the document alleges that a collapse of the Greenland Ice Shelf would lead to billions of “climate refugees” around the world. 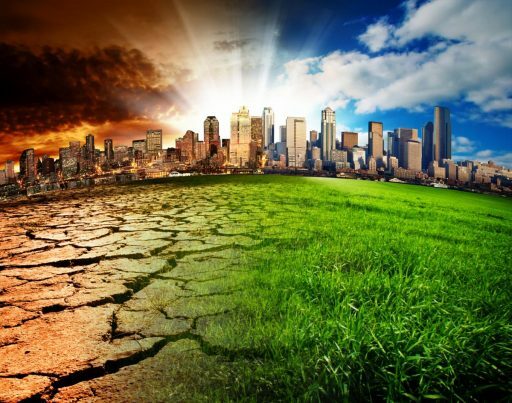 Despite the Council’s confidence in claiming that humanity is in dire straits and disaster is imminent if we don’t follow Berkeley’s lead, there is much controversy surrounding the notion of global warming and climate change. Earlier this year, it was revealed that climate change predictions have already been proven inaccurate. Estimates suggest that the effects of human activity on global temperatures have been overstated by nearly 50 percent — that’s a substantial error in calculations, and it means that we are not on the doomsday clock quite yet (at least as far as climate goes). Multiple studies have shown that climate change predictions are wrong and in fact, the most popular climate change theory is based on fraud, not fact. The IPCC, it turns out, used science fraud to promote global warming and “climate change” narratives, hoping no one would notice that the entire software model was essentially HACKED from the very beginning, deliberately engineered to produce the alarming temperature trend the world’s bureaucrats wanted so they could terrorize the world into compliance with climate change narratives. If climate change is a fraud, what does that make Berkeley City Council? Read stories about real climate science at Climate.news.